If you thought AS3X technology could not get any better, think again! This superb USB device means you can now change the flight characteristics to suit your own style of flying. 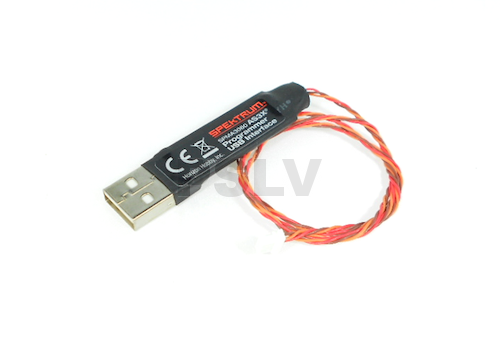 Spektrum AS3X programmer USB-Interface SPMA3060 is the ideal tool that lets you change the gain values (automatic deflections) of the flight control surfaces, even if you are building a model from scratch or wishing to fine tune an existing AS3X equipped model you now have the means to set the model up to your desired settings using this programming interface. SPMAS6410NBL, EFLU4864, EFLU1264 and PKZU2164.